OSHA recommends outreach courses as an orientation to occupational safety and health for workers. Some states require this training and have enacted laws mandating the 10 and/or 30 hour OSHA training requirements. Likewise, some employers, unions, organizations or other jurisdictions may also require 10 and/or 30 hour training. The mandatory curriculum must include an introduction to OSHA, personal protective equipment and lifesaving equipment, health hazards in construction and the “focus four hazards” which are falls, electrocution, struck by, and caught in/or between. The elective topics include cranes, excavations, material handling, scaffolds, stairways, ladders, hand and power tools, and one hour of optional material covering industry hazards or an expansion on required topics. The mandatory curriculum must mirror that of the 10-hour construction curriculum but the time required is increased. The elective topics are expanded in the 30-hour training to 12 hours and they may include safety information about concrete and masonry construction, confined space entry, ergonomics, excavations, fire protection, motor vehicle safety, powered industrial vehicles, safety and health programs, steel erection, welding and cutting, foundations for safety leadership, and 3 hours of optional material covering industry hazards, policies, and an expansion on required topics. All employees who perform work on any public building project paid for in whole or part by state funding, or any of its agencies, where the total cost is over $100,000. This law went into effect in 2007. The OSHA 10 hour Construction Course must also be retaken every 5 years. Missouri Construction Safety Training Act requires all contractors and subcontractors who enter into contracts with public bodies for construction of public works to train their on-site employees regarding the potential hazards they may encounter. The law went into effect in 2009. Any employee found on a work site subject to this section without documentation of the successful completion of an OSHA 10 Hour course shall be afforded 20 days to produce such documentation before being subject to removal from the project. All employees to be employed at a worksite needs to complete the OSHA 10 hour construction course before beginning work on the worksite. The law went into effect in 2004. The Massachusetts law specifically says “at least 10 hours” – so an OSHA 30 hour construction course would also enable the worker to meet these requirements. It is also the employer’s responsibility to make sure all their employees have their certification card and turn in proof to the contracting agency before the job starts. The employer can be fined for allowing an employee onsite who does not have a valid OSHA10 hour certification card. Any person who signs a contract to work on a construction, reconstruction, alteration, remodeling, installation, demolition, maintenance, or repair of any public work or building by a state agency or municipality with a total project cost of $100,000 or more. The law went into effect in 2007. Employees who fail to obtain their OSHA 10 Hour Card after 15 days of starting work, will be removed from the jobsite. Employers can face penalties up to $2,500 and a civil penalty of $100 per employee for each day of noncompliance. New York State Labor Laws – Chapter 282 – Labor Law §220-h took effect on July 2008. All public works contracts for New York state and municipal construction jobs of $250,000 or more require certification that all employees performing work under the contract will have successfully completed an OSHA 10-hour construction course. New York City OSHA Laws – NYC Int. 790-A of Local Law 48 of 2008 requires all construction workers to complete an OSHA Outreach 10 hour course within the previous 5 calendar years. 10) developed by the U.S. Labor Department’s Occupational Safety and Health Administration (OSHA) at least once every five years. The training must be completed no more than 15 days of being hired. All supervisors on a construction site to undergo a 30-hour safety training course (OSHA-30) approved by OSHA at least once every five years. The training must be completed no more than 15 days of being hired. If an employee or supervisor does not gain 10 or 30-hour certification, then their employment must be terminated or suspended. Employers who fail to terminate or suspend employees are subject to administrative fines and penalties. All workers directly performing construction or demolition activities for which permits have been issued are required to complete OSHA 10 safety training or an approved equivalent. (Philadelphia Code, Title 4, Subcode A, Section A – 1001.4). This requirement applies to all employees of licensed contractors (including plumbing, electrical, fire – suppression and warm – air contractors) AND State – registered Home Improvement Contractors. Workers will be required to furnish proof of required safety training to Department of Licenses and Inspections officials upon request. 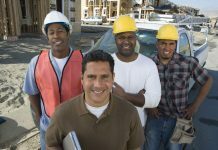 All contractors licensed under Section 9 – 1004 of the Philadelphia Code must employ at least one supervisory employee who has completed OSHA 30 safety training, or approved equivalent, within the past 5 years. (Philadelphia Code, Section 9 – 1004(4)(c.1)). Licensed plumbing, electrical, fire suppression, and warm – air contractors are not required to employ an OSHA 30 supervisory employee. Identification of a supervisory employee and proof of training will be required for all new Contractor License applications made after September 30, 2015 and for the renewal of all Contractor Licenses set to expire on or after March 31, 2016. All workers who perform work on a public project costing more than $50,000 or more, requires each employee onsite to have their OSHA 10 hour certification card. 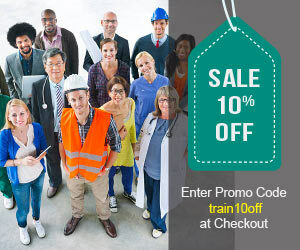 Any employee required to complete the OSHA 10-hour construction safety program who has not completed the program will be subject to removal from the worksite, if the employee does not provide documentation of having completed such program by the 21st day after the date the employee is found to be in noncompliance. The state may also assess a civil penalty of up to $1,000; in addition, such an employer shall be assessed a civil penalty of $100 per employee for each day of noncompliance. Reference: West Virginia Code – Chapter 21 Labor – Article 3. Safety and Welfare of Employees – §21-3-22. OSHA construction safety program.